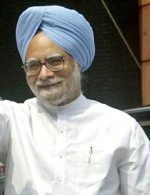 Prime Minister Manmohan Singh on Tuesday made a forceful plea for fostering an environment that promoted scientific advancement in the country to help it become a "world leader" in creating intellectual property. Singh also said that scientific and technological prowess was the key to the country's development, "The scientific and technological prowess of the nation is a major determinant of its state of development. Innovation and knowledge will be the key-factors in our progress in the 21st century. We must, therefore, foster an environment that promotes and nurtures scientific achievement and makes us a world leader in creating intellectual property", he said. The Prime Minister was speaking after laying the foundation stone of a campus of the prestigious Tata Institute of Fundamental Research (TIFR) in Hyderabad. For achieving rapid strides in the field of science and to make the country a world leader, it is essential to strengthen the scientific infrastructure in the country, he said . "It is essential to strengthen our scientific infrastructure, draw the brightest minds to scientific research, and create institutions of the highest standards of excellence. Scientific development is an integral part of the journey towards inclusive, balanced and sustainable growth," he said. "We have two objectives for the future as we build on what we have achieved. First, we need to expand our human resource pool in science and technology to maintain our competitive advantage in the knowledge economy. Second, we need to create a stimulating institutional environment that can engender a full flowering of our latent capacities through innovation and excellence," he said. Citing the example of a Noble prize winner for chemistry this year who did his work at Hokkaido University in Japan, Singh said such instances of outstanding work carried out in universities in Asia have some lessons to offer. "Is it team work, a highly professional work culture or a system that is strongly result-oriented? We should reflect on these issues if we are going to match the great universities and laboratories of the world", he said. He appreciated that TIFR has emerged as a centre of research, knowledge and learning of international repute since its modest beginning 56 years ago with the then Prime Minister Pandit Jawaharlal Nehru laying the foundation of its first campus in Mumbai. TIFR's activities now encompass all branches of natural sciences, mathematics, computer science and science education and it has centre for biological sciences and applied mathematics among others at various places in the country, he said.